Where stands the mathematical endeavor? In 2012, many mathematical utilities are reaching consolidation. 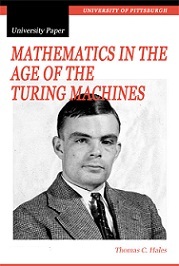 It is an age of large aggregates and large repositories of mathematics: the arXiv, Math Reviews, and euDML, which promises to aggregate the many European archives such as Zentralblatt Math and Numdam. Sage aggregates dozens of mathematically oriented computer programs under a single Python-scripted front-end. Book sales in the U.S. have been dropping for the past several years. Instead, online sources such as Wikipedia and Math Overflow are rapidly becoming students preferred math references. The Polymath blog organizes massive mathematical collaborations. Other blogs organize previously isolated researchers into new fields of research. The slow, methodical deliberations of referees in the old school are giving way; now in a single stroke, Tao blogs, gets feedback, and publishes. Machine Learning is in its ascendancy. LogAnswer and Wolfram Alpha answer our elementary questions about the quantitative world; Watson our Jeopardy questions. Google Page ranks our searches by calculating the largest eigenvalue of the largest matrix the world has ever known. Deep Blue plays our chess games. The million-dollarprize-winning Pragmatic Chaos algorithm enhances our Netflix searches. The major proof assistants now contain tens of thousands of formal proofs that are being mined for hints about how to prove the next generation of theorems. Thomas C. Hales is an American mathematician working in the areas of representation theory, discrete geometry, and formal verification.